I'm done for the year. Spent three hours walking today and ended up with a fork horn. 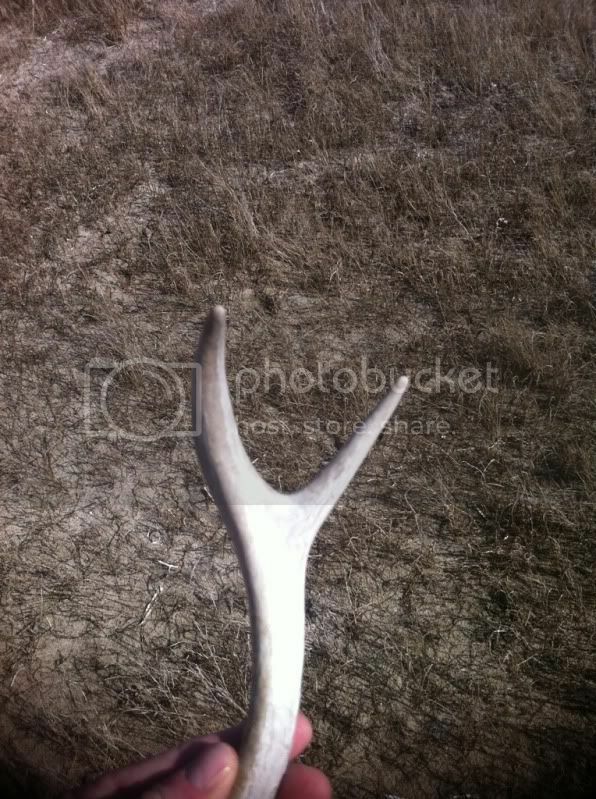 Ended up with 15 sheds this shed hunting season. Ended up with 29 last season. HUGE competition here on the island for sheds. A ton of guys do it. If you don't have a spot that nobody else knows about, you are wasting your time. I am fortunate to have discovered an area which I had all to myself for two years now. 15 is still a pretty darn good haul shed. What u doing with all of them each year? Yeah, 15 is pretty good for my second year doing it! I ended up with one matched set this year. They were about a mile apart from each other. I just pile them up on a table and look at them every once and a while.